While I know everyone talks about colour and incorporating colour into their wardrobe diet, some of you will begin to notice a lot of my closet consists of outfits in black paired with pops of colour i.e. shoes, jewellery, handbag, makeup etc. Basically Black outfits are my favourite. Particularly in the sombre mood I am in for about 6 months of the year, I.e. WINTER -40 weather and just plain old grey days outside. On the topic of sharing and giving. 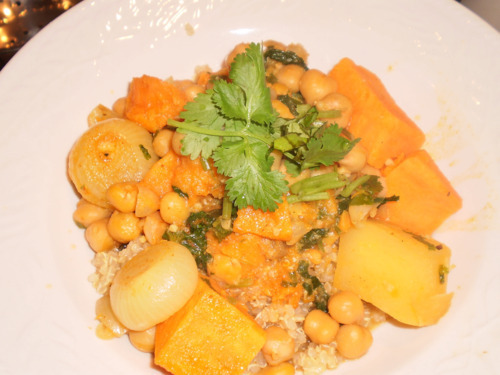 Another phenomenal woman gave me a recipe for a chickpea sweet potato curry. I slightly modified her version so it could be part of my crazy competition dieting so here goes the recipe and a picture to prove how delish it truly was.